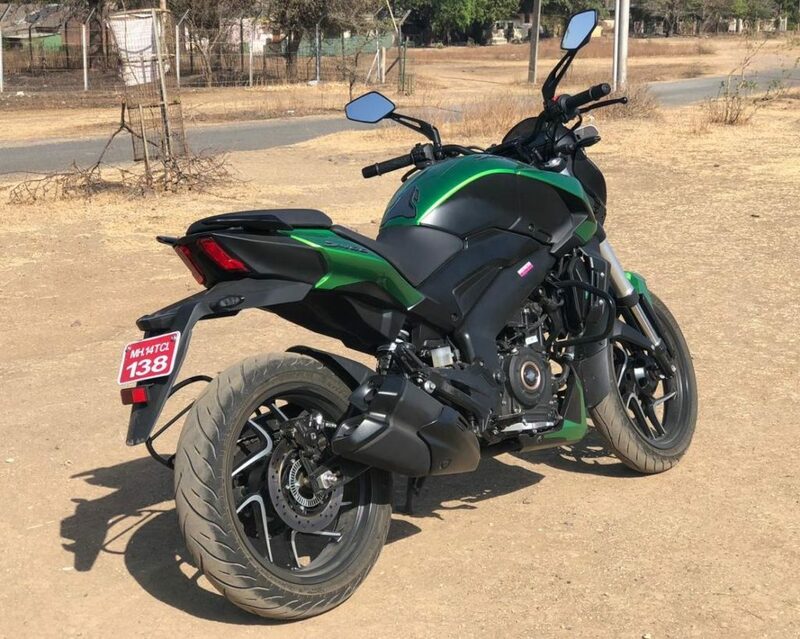 The new model of the Bajaj Dominar 400 arrived at dealerships in the country. The price is not yet familiar, but dealers say it will be Rs 1.74 lakh, similar to KTM 250 Duke. However, the bike is closer to 390 Duke regarding the specs. Let us see how the Dominar 400 fares against the KTM, the naked BMW G 310 R and the TVS Apache RR 310. The Dominar 400 has an updated engine with a lot more power, and with 373.3cc, it has the same capacity as the older one. The DOHC set-up and the increased compression ratio mean it has 39.9hp and 35Nm, an increase of 4.9hp. This is now very close to the KTM 390 Duke. The 390 Duke produces 43.5hp and 37Nm of torque, meaning it is the most powerful motorcycle here. 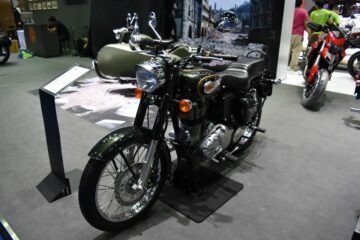 The other two bikes share their engines, and the near 313cc engine was co-developed by TVS and BMW. 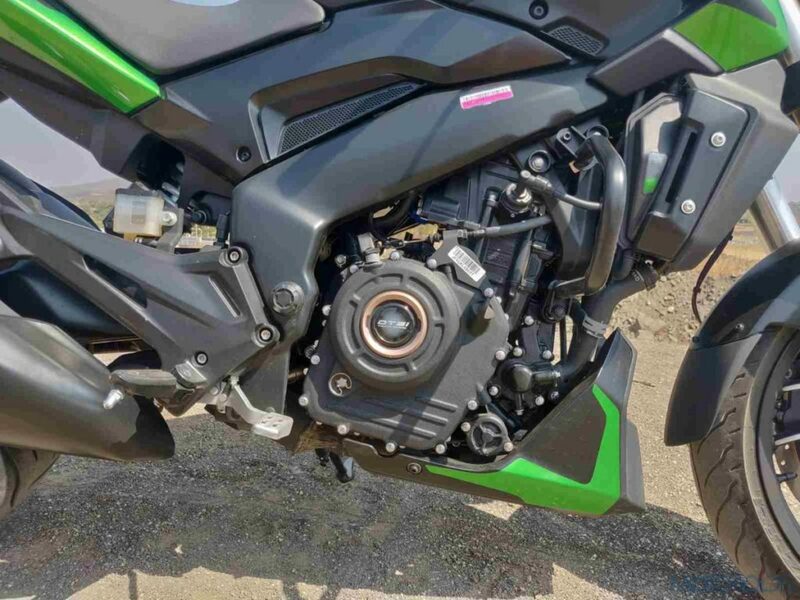 It produces 34hp at 9,700rpm and 27.3Nm of torque at 7,700rpm as a part of the RR 310, and almost identical 34hp at 9,500rpm and 28Nm of torque at 7,500rpm when mounted on the G 310 R. However, the performances are different. Except the TVS Apache RR 310, other bikes are naked and do not have much bodywork. The Dominar 400 does not sport significant visual changes, except the all-black plastic parts and a different colored wheel. In addition, it is available in Auroral Green, making it noticeable. The Duke has a bolder design with sharper lines and a bright-orange color. The BMW features conventional styling with a large tank, while the BMW badge makes it noticeable on the road. The G 310 R does a better job with the seat height. At 785mm, the BMW is accessible for shorter riders. The RR 310 is the only one fully faired, and the most visually appealing from this Indian manufacturer. What is more, the upswept tail end and large side fairings make it look like it comes from one tier above its own. The Dominar 400 sports a perimeter frame. On the other hand, RR 310, G 310 R and 390 Duke all utilize a trellis frame. The new Dominar joins the rest with a USD fork for the monoshock, revised for much better ride quality. It is also the heaviest at 184kg. Despite additional weight of the fairing, the RR 310 is 15kg lighter, standing at 169.5kg. The 390 Duke is close behind, with the weight of 163kg. The G 310 R is the lightest, at only 158.5kg. All four bikes have dual-channel ABS, but only KTM allows the rider to turn off the rear ABS, or the whole system. The Dominar 400 2019 also got an overhaul of its instrument board. The primary unit on the handlebar gives out information in text, while the second one shows additional info, mainly gear position, and trip meters. Telltale lights are now also on the main display, as well as fuel consumption and the remaining miles. It is still however not as advanced as the TFT display of the 390 Duke, the only one here with such a feature. In addition, it is also the only one with Bluetooth. The RR 310 and G 310 R have LCD displays, and the RR provides more info than the GS, like the lap timer option. After everything said, it is clear all of these bikes have much in common. There are only two engines in four different motorcycles. 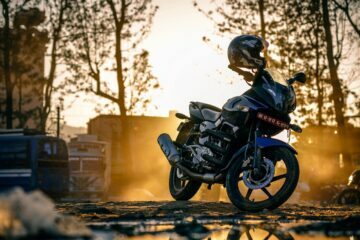 With a price of Rs 1.74 lakh, the 2019 Bajaj Dominar 400 is the cheapest one among the four, and by a considerable margin. The new, updated model is still an excellent value for your money. The KTM 390 Duke costs Rs 2.44 lakh and has the same engine, but more power. The TVS Apache RR 310 is Rs 2.23 lakh, and the only fully faired bike. It does great on both the streets and on the track. Lastly, the BMW G 310 R is well built, with the highest price of 2.99 lakh, it is really the only premium bike among the four.